Are you the sort of person who prefers longer cruises? Or maybe you want to visit ports different ports than what’s normally available on a five or seven-day trip. Then we have good news. Carnival just announced 13 more of their “Carnival Journeys” cruises. These trips are 12-14 day cruises that offer up itineraries normally not available on shorter trips. 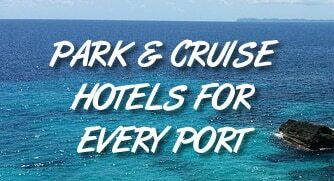 The new trips are especially interesting with the ability for cruisers from Galveston to transit the Panama Canal and for cruisers from Long Beach to visit Alaska. Carnival Splendor: a 14-day Alaska cruise round-trip from Long Beach Aug. 25 to Sept. 8, 2018, visiting Hubbard Glacier, Icy Strait Point, Ketchikan, Skagway, Juneau and Sitka, Alaska, as well as Victoria, British Columbia. Carnival Breeze: a 14-day Southern Caribbean voyage departing Galveston Sept. 16 and arriving in Port Canaveral Sept. 30, 2018, calling at Grand Cayman, Aruba, Curacao, Grenada, Barbados, Dominica and St Maarten. Carnival Splendor: three 14-day Hawaii cruises round-trip from Long Beach departing Oct. 13, 2018, Dec. 1, 2018, and Jan. 12, 2019, visiting Maui (Kahului), Honolulu, Kona and Hilo. Carnival Freedom: a 14-day Panama Canal voyage round-trip from Galveston Oct. 27-Nov. 10, 2018, visiting Montego Bay, Aruba, Curacao, and Cartagena prior to a partial transit of the Panama Canal followed by Limon (Costa Rica) and Cozumel. Carnival Breeze: a 14-day Southern Caribbean voyage operating round-trip from Port Canaveral Nov. 3-17, 2018, with stops at St Thomas, Antigua, St Lucia, Grenada, Barbados, St. Maarten, Tortola, and San Juan. Carnival Pride: a 14-day Southern Caribbean cruise round-trip from Baltimore Nov. 4-18, 2018, calling at Grand Turk, Aruba, Curacao, Barbados, St. Lucia and St. Maarten. Carnival Ecstasy: a 12-day Southern Caribbean cruise round trip from Charleston Nov. 10-22, 2018, featuring Amber Cove, Aruba, Curacao, St Maarten and San Juan. Carnival Miracle: a 14-day Panama Canal voyage round-trip from Tampa Dec. 2-16, 2018, visiting Cozumel and Limon prior to a partial transit of the Panama Canal followed by Cartagena, Aruba, Curacao and Ocho Rios. Carnival Pride: 14-day Southern Caribbean voyage round-trip from Baltimore Jan. 6-20, 2019, visiting St Thomas, Antigua, Grenada, Dominica, St. Maarten, San Juan and Grand Turk. Carnival Sunshine: a 13-day Southern Caribbean cruise round-trip from Port Canaveral, Fla., Jan. 12-25, 2019, calling at Aruba, Curacao, St. Maarten, St. Kitts, San Juan and Amber Cove (Dominican Republic). Carnival Freedom: a 14-day Southern Caribbean sailing round-trip from Galveston Jan 19-Feb. 2, 2019, featuring Grand Cayman, Aruba, Bonaire, and Cartagena prior to a partial transit of the Panama Canal followed by Limon and Cozumel.